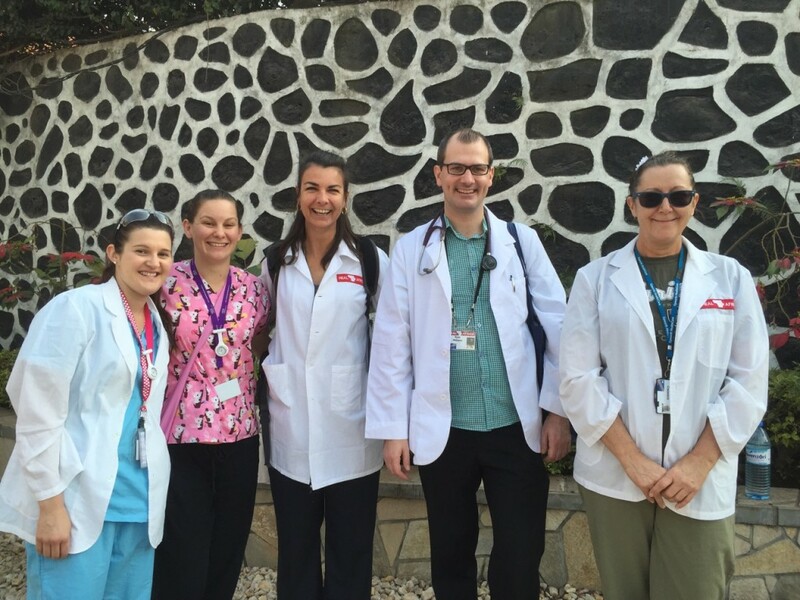 The AusHEAL nursing team arrived in Goma on Tuesday after the long flight from Australia and overnight in Kigali, Rwanda. 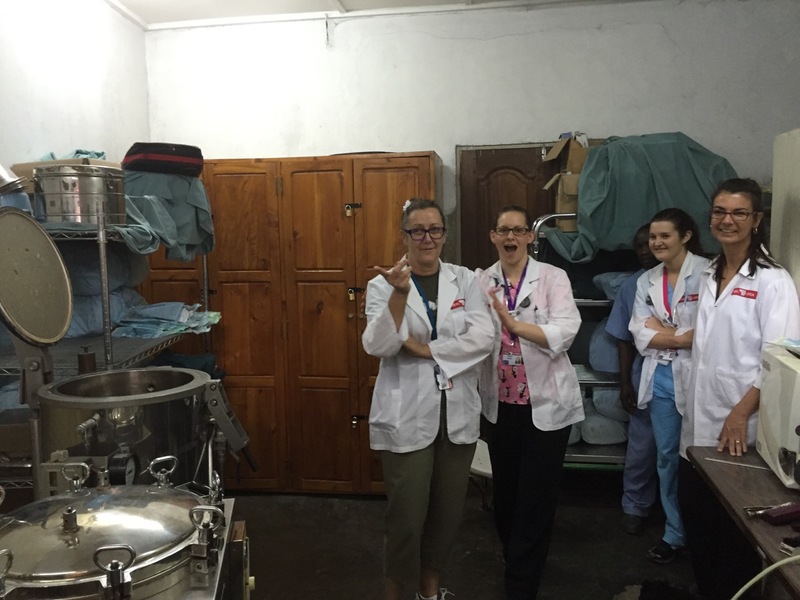 Their first activity on Wednesday was a tour of the HEAL Africa Hospital (HAH) so that they had an understanding of the busyness of the hospital and the complexity of cases before they settle into their specific areas of work. They found this important to understand the whole nature of the holistic care offered at HEAL Africa. They have spent the past few days orientating themselves in their own areas and observing the local practices and customs. Cheryl Brooks, who heads up the nursing team, has spent time with the Senior HAH nurses as well as time in her area of expertise in Anaesthetics and Recovery Ward. 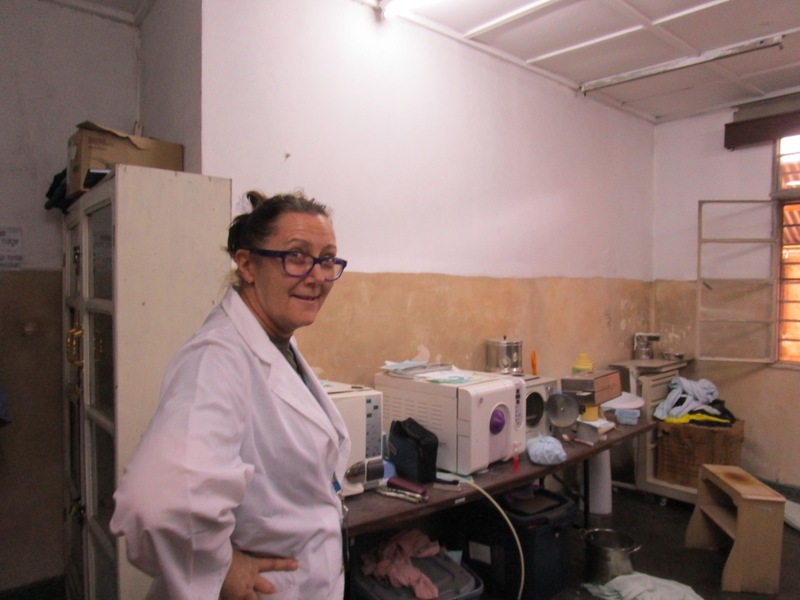 Jill Cranswick has been observing the local practices in the operating theatre and enquiring of the sterilising processes for instruments. The look of surprise on her face when she visited the ‘Central Sterilising Department’ – CSSD – was ‘priceless’. Naomi Alexis has fitted in well in the Maternity ward and yesterday delivered her first Congolese baby. She is building good relationships with the HAH midwives and they have agreed to teach each other next week. Kirsten Zeiher has been working across the Emergency Department and ICU and has already decided she would love to stay for longer. One major well attended teaching session was held for HAH nurses on Thursday afternoon when airway issues were discussed and judging by the number of questions received this session was appreciated. From the basis of building relationships over the past few days, the nurses will now be able to do some more training and teaching in their specific skills sets. 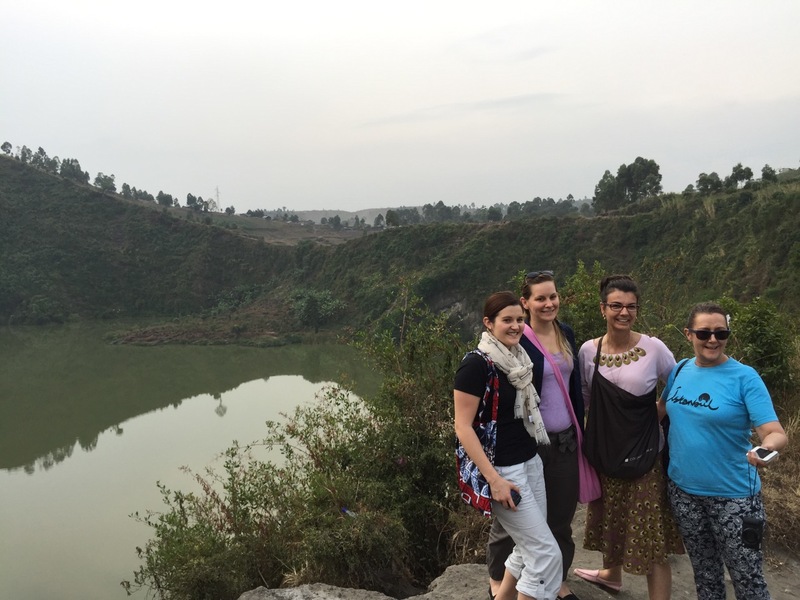 This is how AusHEAL prefers to work – not telling local staff what to do, or doing it for them, builds relationships and trust and then there are greater opportunities to teach and train and more likelihood of sustainable change. Dr Ryan Williams arrived with the nurses and will stay on for 6 weeks. 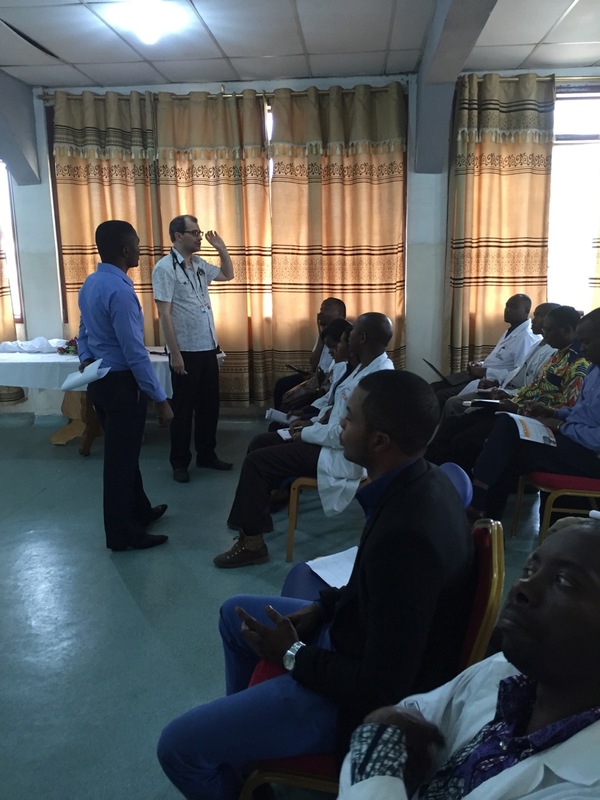 He has been building relationships with the junior medical staff, interns and medical students and gave an informative talk to them on Friday on the place of evidence-based medicine providing good patient care and how to use the internet to find the best evidence and discern the levels of evidence. This was again so well received by all staff and students and 100% of hands were raised when they were asked if they had learned something. Meanwhile Neil Wetzig has been busy in the Outpatients Clinics and operating theatre. There were many cases to ‘catch-up’ on after the Maxillo-facial team left and only by the end of this week are the surgical team starting to get ‘on top’ of the workload, though many new challenging cases continue to arrive. Illness has struck down a number of staff and the second surgeon Dr Medard has been off sick for 4 days so that has placed more pressure on Neil. Gwen Wetzig has been organising the team and relating to local staff. She has had a number of issues to follow up from Team-1 as well as working on protocols for future AusHEAL training. 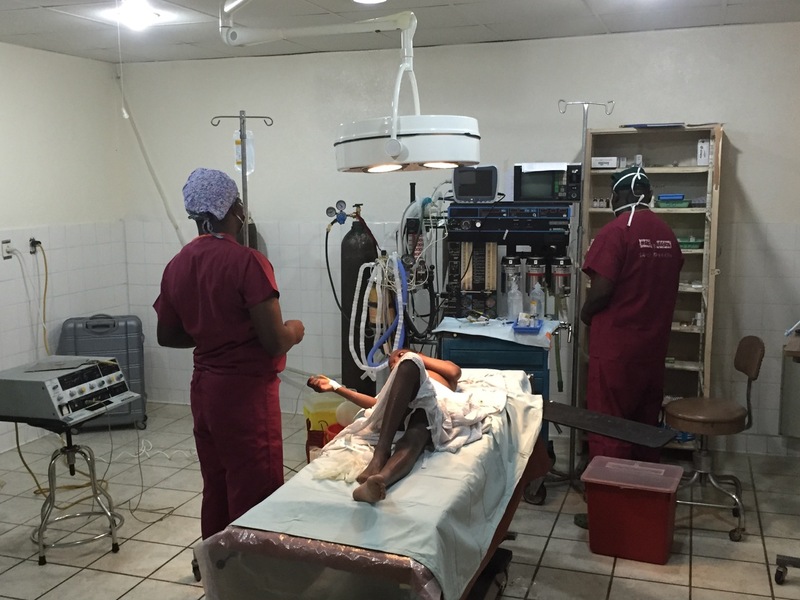 Overall this has been a happy and productive but busy week for AusHEAL Team-2 at the HEAL Africa Hospital in Goma DR Congo. They took time Saturday afternoon to look around Goma and were struck by both the beauty and the poverty.